Governorship candidate of the People’s Democratic Party (PDP) in Lagos, Mr. Jimi Agbaje, has alleged ongoing manipulation of the results of last Saturday’s presidential and National assembly elections. 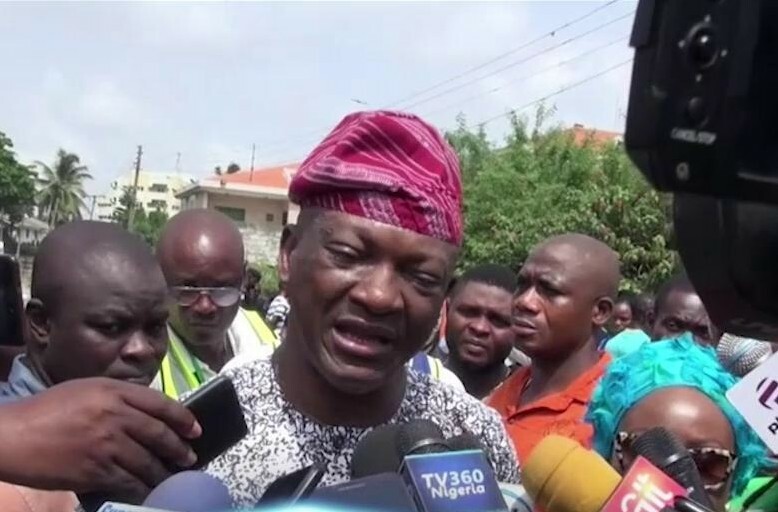 Agbaje, who addressed a press conference in his campaign office on Ikorodu Road, Lagos, said 48 hours was enough for the Independent National Electoral Commission (INEC) to compile and release the result of the election and called on the electoral commission to release the results without further delay. “The problems started from the polling units. The guidelines were very clear, that after election and counting of votes, election results are supposed to be pasted on the wall at the polling unit. We have no reports that election results were posted anywhere in Lagos State. That is the beginning of the problem. “We go back to the election day, wherein a lot of cases, we had a situation where the card readers did not function, including my own voting unit. It created a situation where the electoral agents were unable to verify the identity of voters vis-a-vis the PVCs presented. “Now we are calling on security agents to bring to book those who caused the mayhem in Okota, Coker Aguda and several other places in Lagos State. And that is very important. If we are going to talk about democracy, then we have to practise the culture. It means that everybody will play his part. Voters will come and vote and we have assured them that their votes count. “As I speak today, we have a situation where results are being delayed. It is two days now and results are not being released in Lagos State. And they are not being released in areas where we, PDP, have strength. And that is deliberate. We have a situation where results are being tampered with. That is not going to be acceptable to us. We will not accept results that have been tampered with in Lagos State,” Agbaje said. Hon. Mutiu Shadimu, Member of the House of Representatives for Oshodi-Isolo 1 Federal Constituency, who was at the press conference said voters in his constituency were intimidated by hoodlums during the polls last Saturday. He added that the hoodlums also prevented traders from opening their shops on Monday. Shadimu said traders thought to be loyal to PDP were being attacked and prevented from opening their shops in the popular Oshodi Market. He called on law enforcement agencies to ensure the security of all irrespective of their political affiliation.